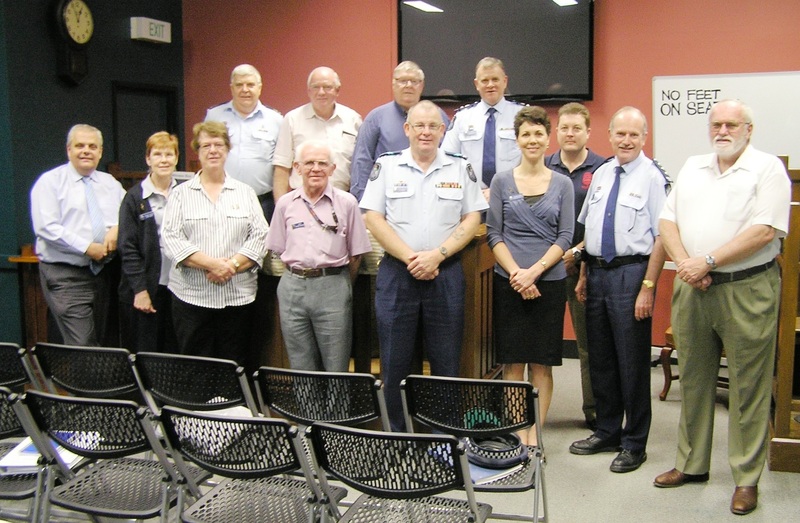 The Annual General Meeting of the Friends of the Queensland Police Museum Inc. (FQPM) was held in the Court Room of the Queensland Police Museum on 3 October 2013. The principle business of the meeting was the election of officers. Congratulations are extended to Bob Burns on his appointment as President this year. Attendees at the FQPM AGM (Rear L-R) Richard Batty, Bob Burns, Ian Townsley, Mark Plath. (Front L-R) Geoff Sheldon, Virginia Gordon, Clare Hackett, John McCormack, Ed Thring, Georgia Grier, Grant Linwood, Rob McCall, Bryan Silvester.